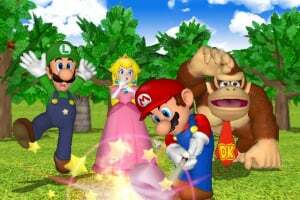 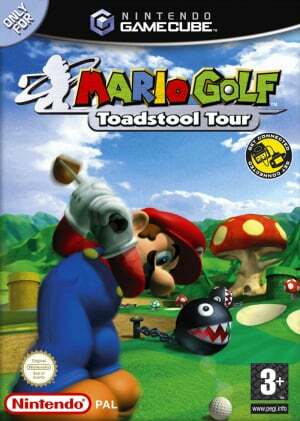 Mario, Peach, Donkey Kong and a cast of their cohorts have dusted off their clubs and set their sights on the Toadstool Tour championship. 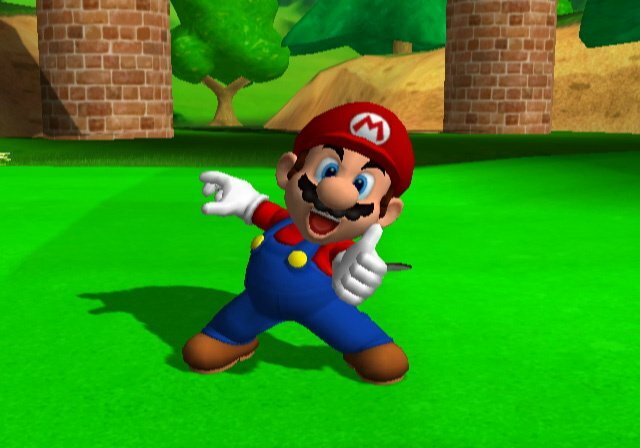 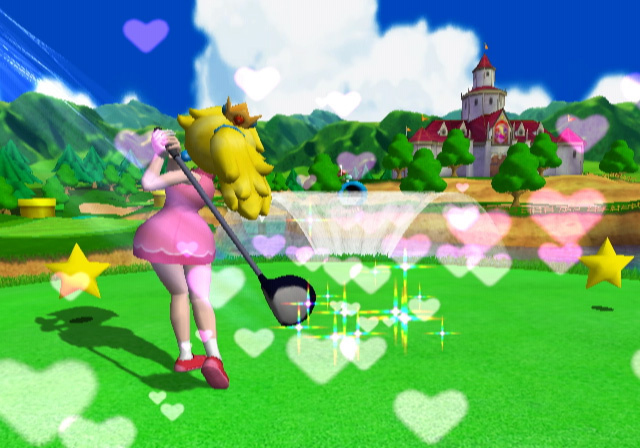 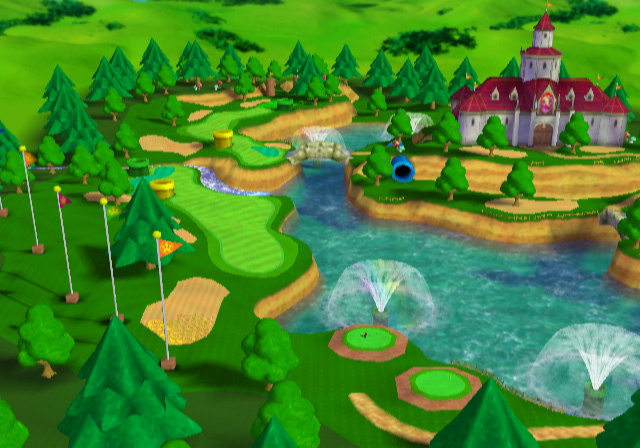 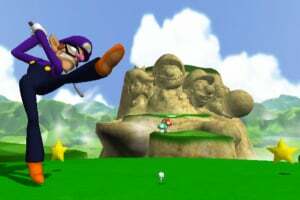 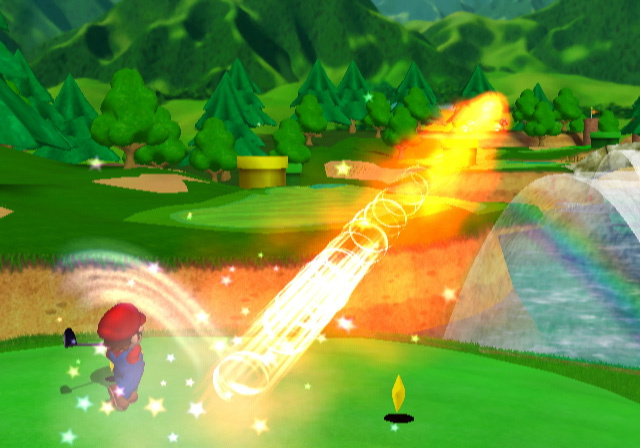 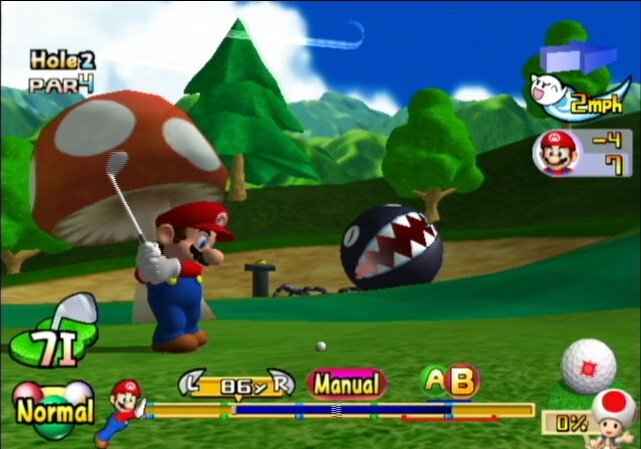 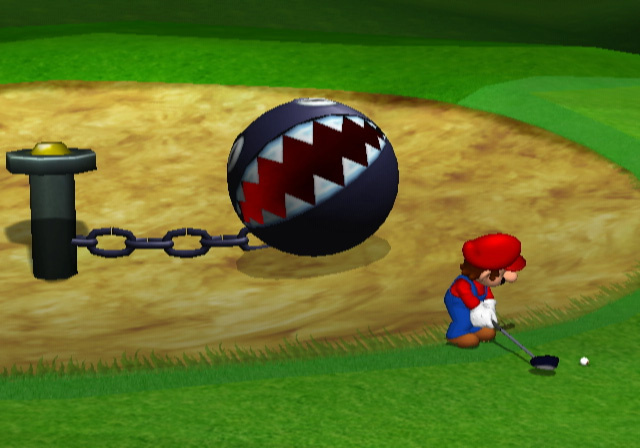 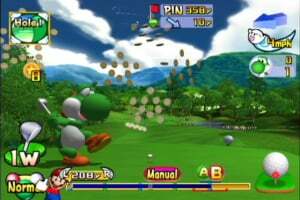 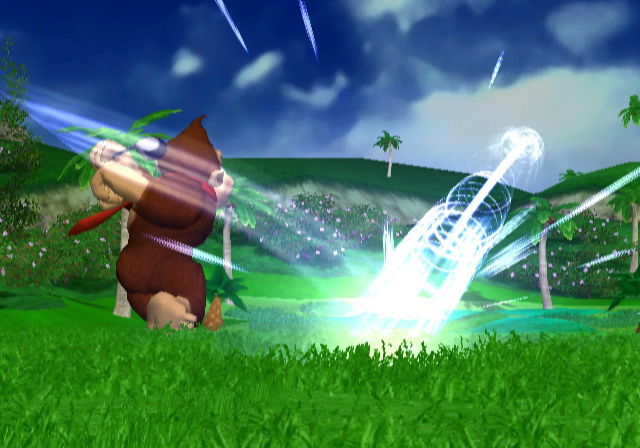 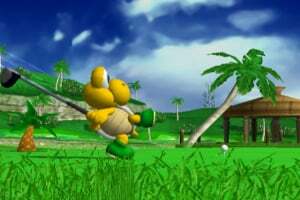 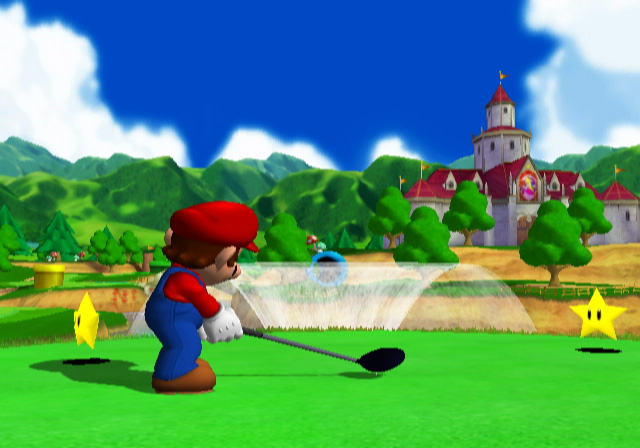 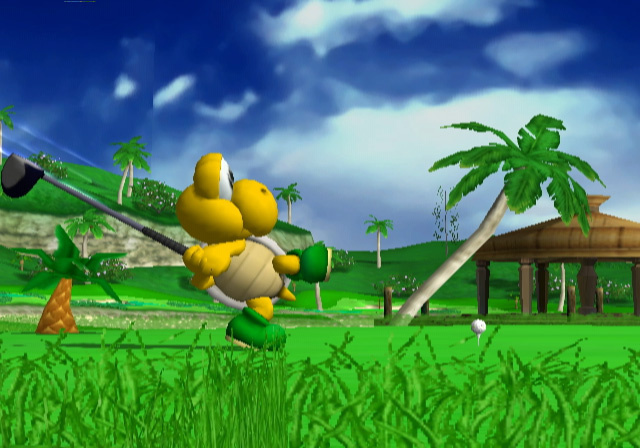 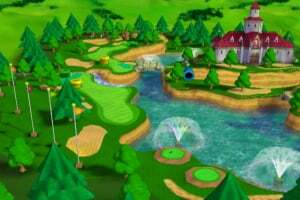 Two new styles of golf courses and a new swing system offer both the seasoned Mario golfer and those new to the game a fresh look at golfing in the Mushroom Kingdom. 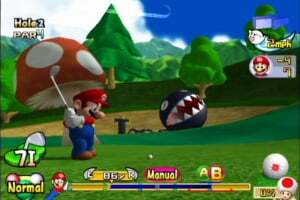 Choose to play on a conventional course or an all-new course designed from the ground up to be all about the Mushroom Kingdom! 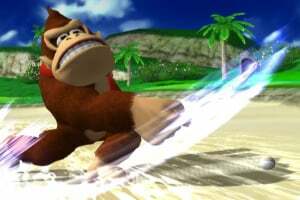 Chip over warp pipes and avoid hazards like Piranha Plants, Chain Chomps and Thwomps when playing on Mario-inspired courses. 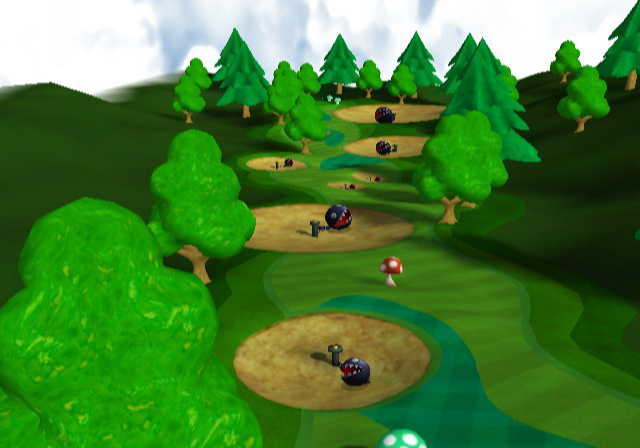 Tee for two, three or four! 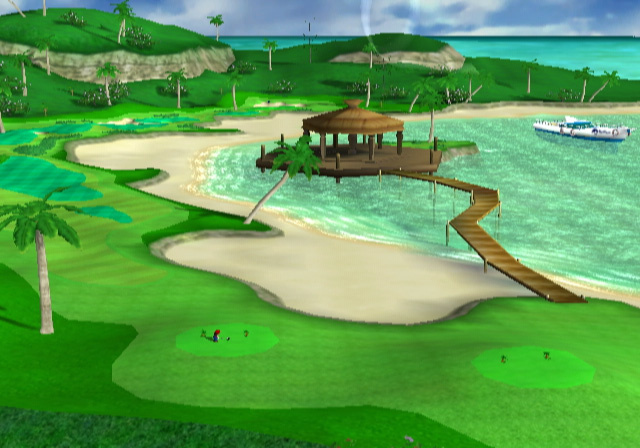 You can tee-off solo or fill out a foursome for some friendly competition. 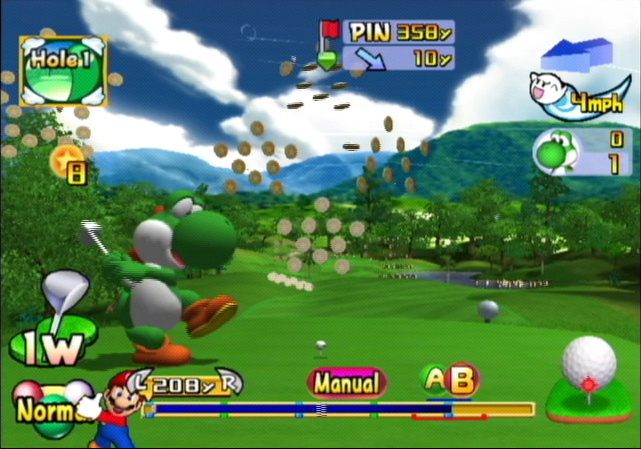 Control your swing in a manual mode for experts and a partially automated mode for novices. 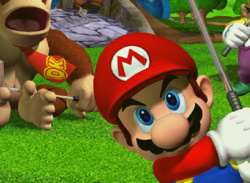 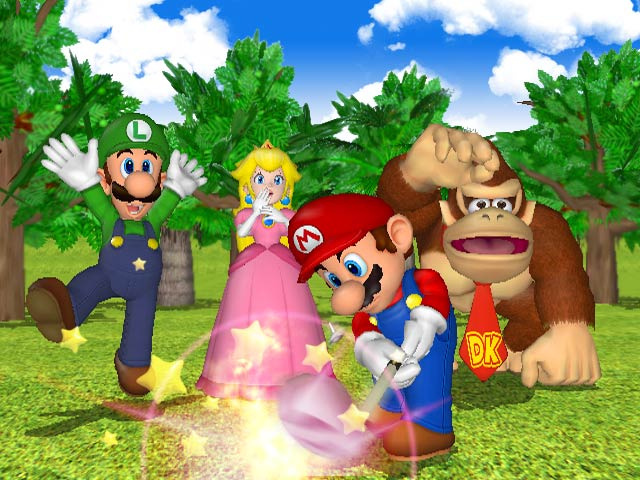 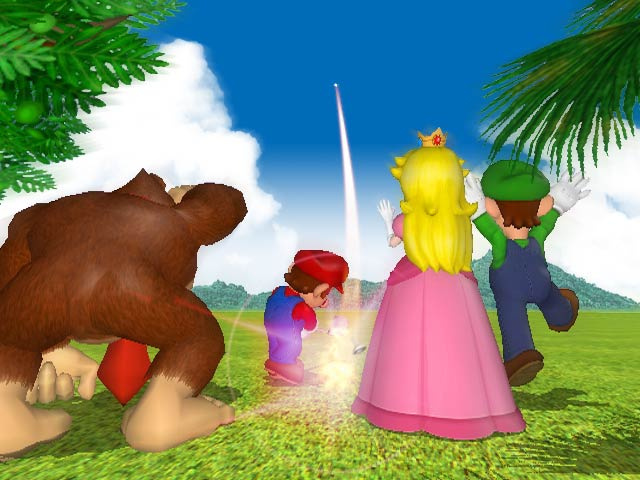 Connect with the upcoming Mario Golf Advance Tour for Game Boy Advance and transfer characters back and forth. 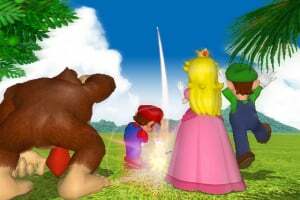 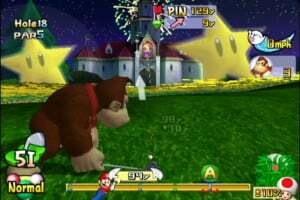 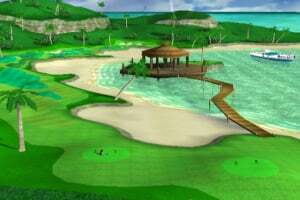 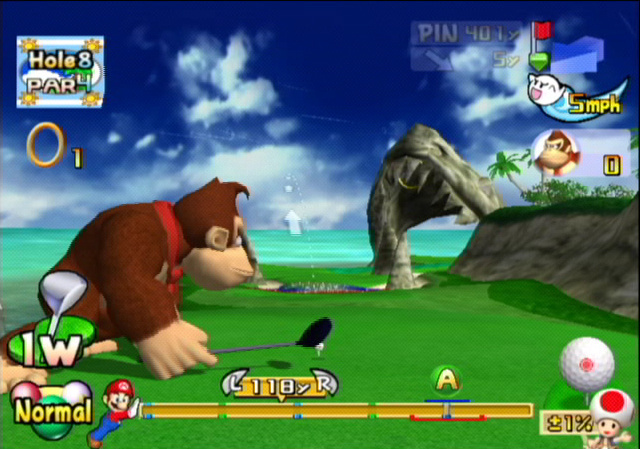 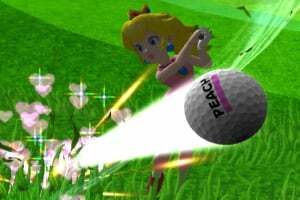 Best game of the Mario Golf games. 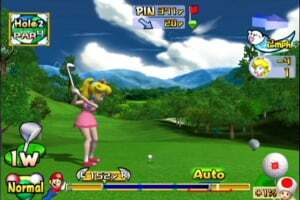 Comparable to the likes of wii sports.